It’s early in the morning of April 8th 2015; two Maverick riders rise from their warm beds and have their breakfast just like normal. 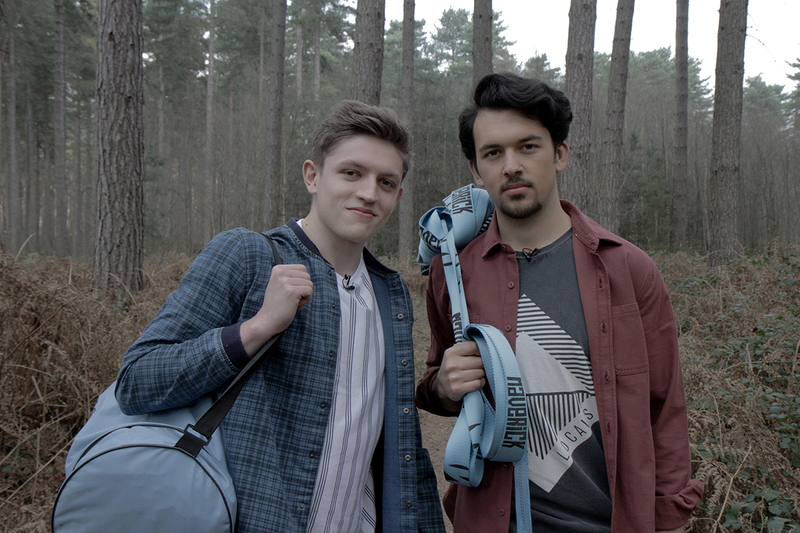 But this is no usual day – our very own Lloyd Mitchener and Jake White are heading to the Capital at the first light of day, to take part in an extraordinary video shoot for one of the largest men’s fashion houses in the world – Topman. After getting styled head to toe at Topman’s flagship store on Oxford Street, the two riders set off into the labyrinth of tube lines toward North London. 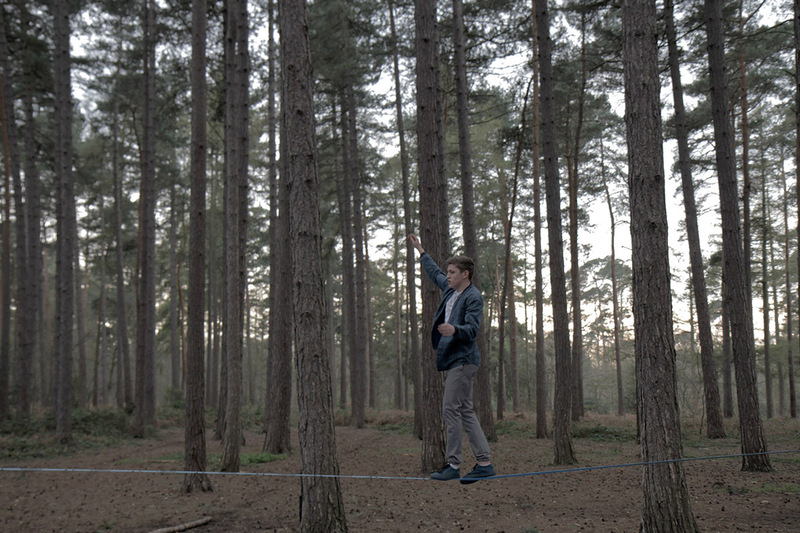 After an additional 20-minute taxi ride, Jake, Lloyd, the crew from Livity and 32 metres of Maverick Pro Slackline end up in Black Park Forest. 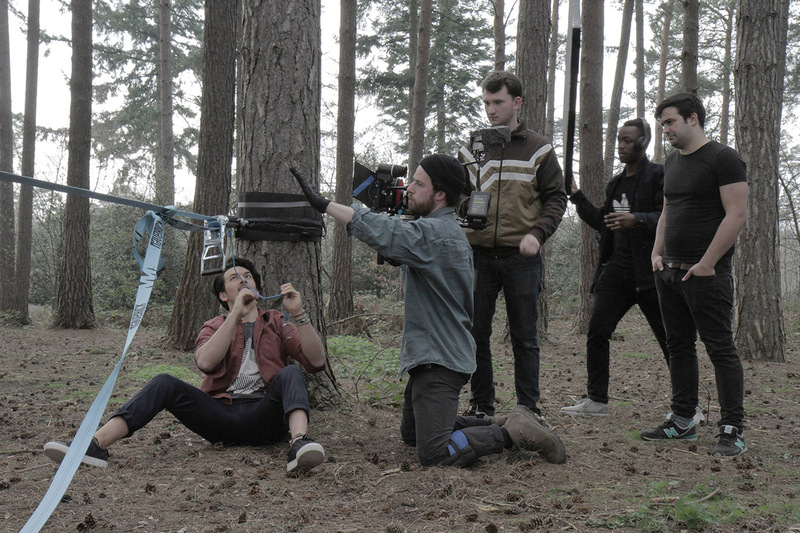 With over 500 acres of woodland, Black Park is one of London’s hidden treasures and a perfect setting for the Maverick riders to perform and impress. ‘Topman VS” was the concept – showing a battle that would push clothing to their absolute limits. And the Maverick riders certainly rose to the challenge. After make-up by Madonna, who’s utility belt of products would put Batman himself to shame, Jake & Lloyd set the scene. As soon as the few initial nerves were conquered, the smaller tricks began to emerge, until the riders might as well been battling it out for real. With Jake throwing out his signature yoga style moves and Lloyd defying gravity with back flips the riders impressed the crew and they found themselves still filming late into the night. As light faded, the Livity crew director announced that that was a wrap. To finishes of the day the Maverick riders headed to a local Caribbean restaurant and enjoyed some well-earned rice, beans and yams.